Southside Shopping Centre, Wandsworth, is the go-to place for all your shopping needs. Located at the heart of this South-West London borough, Southside serves as a vibrant centre for the local community. From the biggest names in fashion, along with some of the nation’s favourite cafés and restaurants, to health and fitness at Virgin Active and the brand new easyGym! Southside has it all. Boasting an enviable range of stores, Southside is guaranteed to satisfy even the hardest-to-please shopper, and with a 14-screen Cineworld cinema on the upper concourse the centre offers something for all ages. Latest additions include the first in the UK, ID Kids, and Orange Theory Fitness. These stores join household names including Gap, Topshop, H&M, Uniqlo and Office, as Southside continues to offer all the top brands. Something great has joined Southside! As we continue to write the Southside story we’re delighted to announce that something very good indeed happened on 8th October 2015… Debenhams opened their new 80,000sq ft store. At Wandsworth’s first and only department store you are able to enjoy all the designer collections at high street prices that Debenhams is famous for, including Principles by Ben de Lisi, J by Jasper Conran and Rocha by John Rocha. Giving our customers somewhere to eat, drink and hang out with friends is what we do best. Whether you want Ravioli from Rossopomodoro or Wakame Salad from Wagamama, or burger kitchen GBK. Other restaurants to grace the upper concourse include Nandos and Chicago Rib Shack. Downstairs there is Waitrose and just on the outside on Garratt Lane a fantastic Planet Organic, providing all the groceries you need to see you through the week. And why not combine your shop with a bite to eat and a fresh cup of coffee. Take a seat in Planet Organic’s café, and enjoy a fabulous organic experience of teas or coffee, hot chocolate or something from the extensive juice bar. If that is not enough, you can even pop upstairs in Planet Orgainic to the brand new yoga and fitness studio, Local Motion. 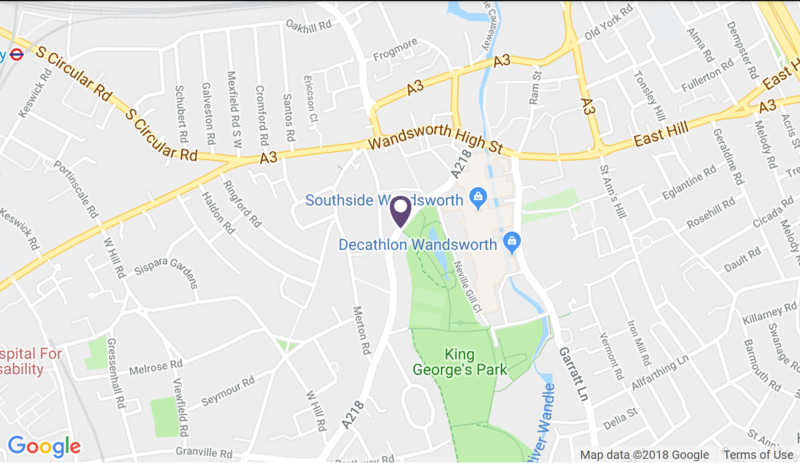 The selection of restaurants on offer brings greater choice for our customers and makes Southside and Wandsworth Town a more attractive place for local people to enjoy throughout the day and evening. To top off all the great changes at Southside we have now even introduced a new mascot - Sammy the Southside-asaurus! Kids will be able to meet Sammy at the Southside Kids Club events we hold throughout the year. And it doesn’t stop there… We are always looking at ways to make your Southside even more fabulous. The latest openings are simply the most recent in a stream of great news for the centre. Over the last eight years, we have brought you some of the biggest names on the British high street, including high street fashion favourites Topshop, Office, Uniqlo, Accessorize, H&M Kids, Debenhams – meaning the best choice of fashion brands is right on your doorstep. This is just the start of great things to come in Wandsworth Town Centre. Plans for more homes and great new outdoor areas prove that the reputation and popularity of this borough continues to go from strength to strength. As part of a Business Inprovement District (BID), we're keen partners in making sure that Wandsworth Town succeeds. To find out more about the BID please click here. So join us and be a part of its transformation by following us on Facebook or check out What's On to stay up-to-date with what we are up to. And, why not pop down to Southside to take a look at how we are getting on…. come in and see us today.